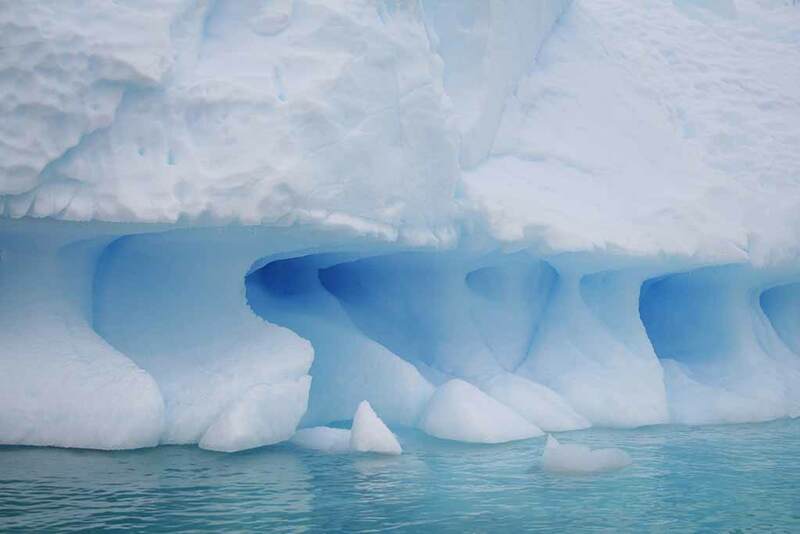 Seeing Antarctica rise from the sea was like finding a new Garden of Eden created out of snow and ice. A few years ago, about 80 world travelers and I set sail for the Antarctic Peninsula, where we explored its channels and straits in small rubber motor boats, called zodiacs, each with 10 passengers and a driver. An immense white solitude reigned over this uninhabited continent at Earth’s southern edge. Awed by its harsh grandeur, I was also struck by a sense of kinship--as if these mountains and glaciers and blue ice caves were somehow my ancient home. As we hiked the islands’ snowy slopes and rocky ridges, penguins and seals and seabirds often met us. The deep past loomed in volcanic mountains and boulders, while vestiges of whaling stations and ramshackle huts reminded us of the recent past. 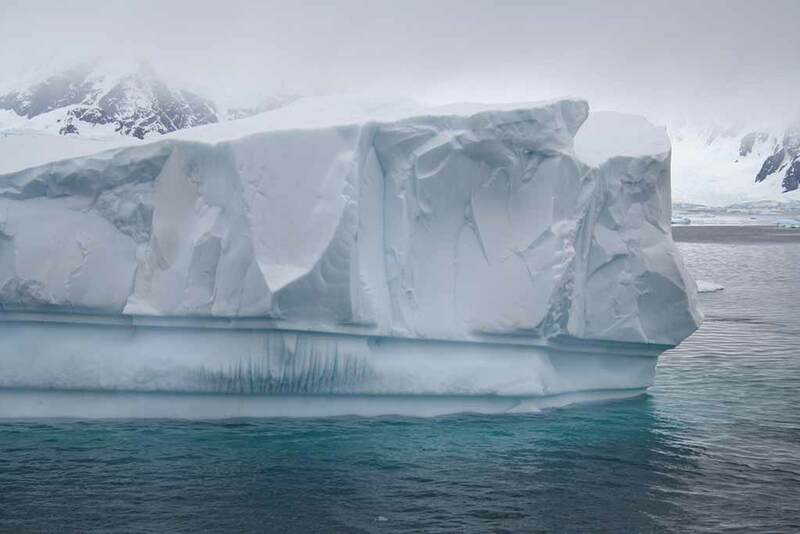 In the midst of continental ice shelves, the scale of Nature defied our imaginations. 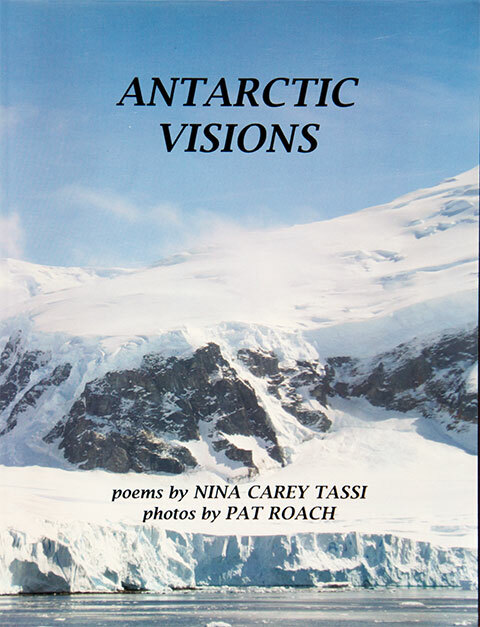 Antarctic Visions resulted from that amazing expedition: a collaboration of poems by Nina Carey Tassi and photos by photographer, friend and fellow passenger, Pat Roach. architecture beyond the reach of man. Have we fallen from the heavens to see this? Is this truly of the earth? only calm presentation of grandeur. to seek the overarching spirit. bluer than the sky, stay near. . .
we are brought to stand before you: stay! Awkward way as if not quite adapted to their task. Than far-off trekkers, a matter of perspective no doubt. Nearby, humans relax as if they’ve been here all along. Not congregating on the rocks, but doing his fellows no harm. Of mind, then, lift man high above these birds? Maybe so. But if measured by predation, man far exceeds the penguins. the cold dark loneliness of Antarctica. to sink the spirit of the deep. fog eclipses the whiteness of mountains. exempts no creature from compliance. sparkling at a million tiny points. the first and the last is light.